ICS is exhibiting at CppCon 2018, the annual, week-long face-to-face gathering for the entire C++ community. The conference is organized by the C++ community for the community. You will enjoy inspirational talks designed to help attendees learn from each other, meet interesting people, and have a stimulating experience. 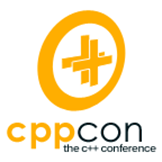 The conference will appeal to anyone from C++ novices to experts.